According to psychologists, each color used in an advertisement tends to stir certain emotions in customers. For example, red attracts people’s attention and usually creates a sense of power, while blue makes things seem trustworthy and is often associated with courage. To increase the sales of their products marketers use a lot of different strategies, and sometimes the results turn out to be really impressive. 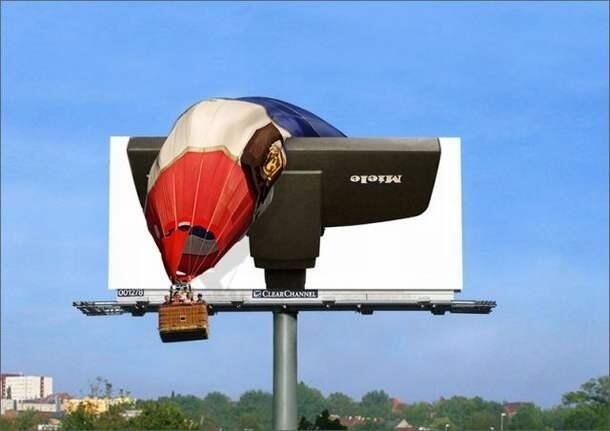 Bright Side gathered the most prominent examples of outdoor advertising that will definitely make you look twice and appreciate the creativity of designers. 21. Yahoo! Mail: Size doesn’t matter anymore. 20. Carlo & Co: Driven to give the perfect haircut. 19. IKEA: A perfect solution for tiny apartments. 18. Kit Kat: Enjoy conversation without an internet connection. 17. Kleenex will keep your nose clean. 16. Drill a hole to your neighbors place. 15. Get tan, but take a break every once in a while. 14. Bounty will clean up any of your messes. 13. Buckle up no matter where you’re sitting. 12. Peter Walsh can even organize pigeons. 11. IMAX: See the world in 3D. 8. 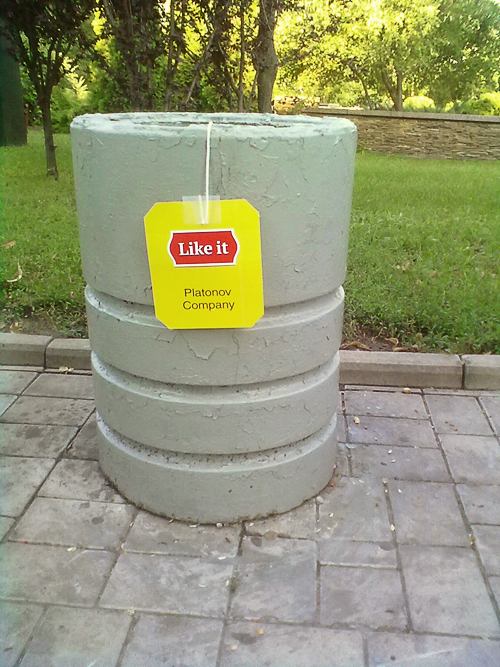 You can never get enough tea. 7. Ariel: Enjoy the whiteness. 6. Mondo Pasta: You won’t be able to tear yourself from the plate. 4. 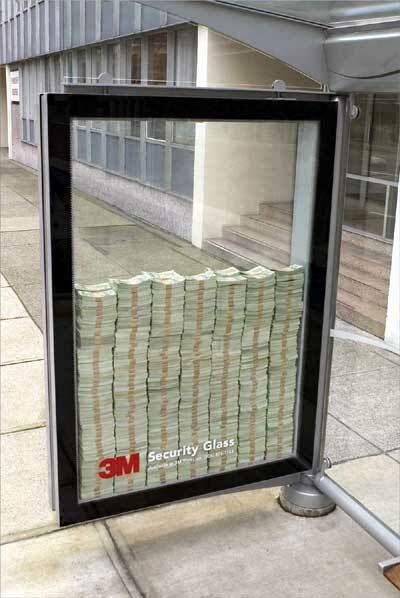 3M security glass: We even trust it to protect real money. 3. McDonald’s: Follow the yellow crosswalk. 2. Sprite: This ad is the only time it’s OK to spill a single drop. 1. Adidas won’t let your opponent score a goal. Which advertisement do you find the most impressive? Share your opinions with us in the comments!